On 31 January and 1 February 2018, the French President is on an official visit to Tunis, accompanied by some members of government and representatives from the business world. 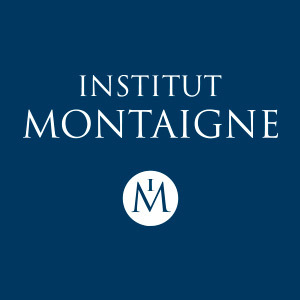 Hakim El Karoui, author of Institut Montaigne’s report “A New Strategy for France in a New Arab World”, shares his analysis of the issues at stake for France in the Arab world, and in particular in Maghreb. The French President has established his European commitment as the cornerstone of his international activity. In this context, what should the role of France's policy in the Arab world be? The Arab world must play a crucial role in France’s foreign policy. It is however necessary to distinguish between different zones and different countries forming what is commonly referred to as the “Arab world”. Indeed, France’s policy in the Arab world cannot be conceived as a whole. Our interests are not the same whether in the Gulf, in the Levant, in Maghreb or in Egypt. It is with Maghreb countries that we have built the closest relationships, given the important exchanges of population between them and France. Our priority is to have a real France-Maghreb policy, as we have no other choice. The truth is that France and Maghreb’s fates are tied. The situation is extremely different with the Levant or the Gulf. Yet, historically, French diplomacy has focused on these two areas for political and economic reasons. No one seems to realize that we traded as much in 2015 and 2016 with Tunisia than with Qatar and the Emirates altogether. Trade with Maghreb represents 50% more than with the Gulf, weapons included. The links between France and Maghreb are dense and old, do you think it is possible to open a new chapter in our relationships to these countries? Yes, and it is an absolute necessity. The dense links you mention are primarily demographic. Six million people of dual French and Maghrebi descent live in France, and nearly 900.000 live in Maghreb. The second link that unites us is that of language. More than half of Tunisians as well as over a third of Algerians and Moroccans speak French. Our common history is certainly complex and heated, but it also has the potential to be very rich. The Mediterranean Sea will increasingly become less of a border and more of an interface. Regarding the fight against terrorism and radical Islam, France and Maghreb share similar interests and challenges. They are facing common issues regarding illegal migrations from sub-Saharan Africa. Concerning trade, we will have to imagine new forms of economic interactions. They will be based not only on the provision of low-cost labor by Maghreb countries, but also on the necessary creation of value-added ecosystems. The health sector seems very promising and a country like Tunisia could become a locus of care for French patients. Is there a special relationship between France and Tunisia? How can our country help to support this democracy? Our relationship with Tunisia is peculiar by nature because it is the only democracy in the Arab world. Like almost all European countries, France was not involved in the 2011 revolution. The issue is that, given the history it shares with Tunisia, France, out of all countries, was expected to engage in this event. If France wishes to help Tunisia, it is obviously necessary to support it financially, but the priority is above all to strengthen the State and its operational capacities. In my opinion, the first emergency is to create a support fund for the Tunisian higher civil service in order to allow the country to offer competitive salaries to the State’s senior officials. The second emergency is to define with Tunisians the best administration system to improve joint work. Today, relations are too conventional: everyone sits in their corner waiting for the other to make the first step. Finally, France must never forget the importance of francophonie. French is not only a language, it is also a particular vision of the future and a potential bulwark against radical Islam.